Protect Malpelo is an initiative of Sharkwater Columbia, Biodiversity Conservation Trust supported by the Columbian Government, with a mission to help preserve the biodiversity of the Malpelo Marine Park, designated a UNESCO World Heritage site in 2006. In collaboration with the Columbian Navy and local NGOs, Protect Malpelo will commence new ranger patrols in the marine park in January 2018, to curb illegal fishing and stop the extermination of sharks. 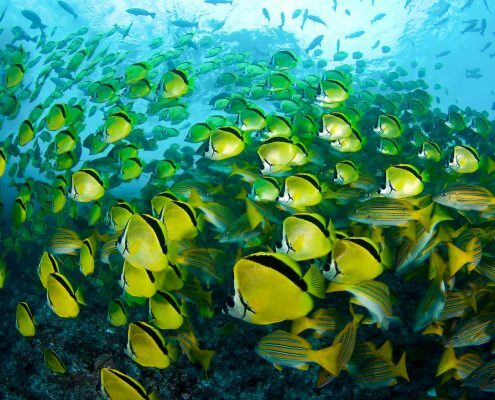 With its main development partner – Ocean Ark Alliance – Protect Malpelo will also develop a global media resource and educational outreach campaign to activate social and political change, and work with scientists, eco-tourism enterprises and high profile partners to secure the future of this oceanic jewel. Why is it so important to protect Malpelo? The Malpelo Fauna and Flora Sanctuary forms part of the Eastern Tropical Pacific Seascape (ETPS), which is located at the far Eastern edge of the Pacific Ocean and extends from the south coast of Costa Rica in the north, to the Galapagos islands in the west and the Pacific coast of Colombia to the East. The region is widely considered as one of the richest areas of the world’s oceans, home to the world’s largest populations of several species of sharks, tuna and billfishes, as well as harboring significant populations of endangered whales and turtles. In fact the ETPS is home to the critically endangered Leatherback and Hawksbill turtles as well as the endangered Pacific Green Turtle, three species facing population collapses due to long-line fishing in the region. Furthermore, according to the International Whaling Commission, the ETPS is also home to over a third of the world’s whale species, including over half of the remaining population of Blue Whales. All of these species are threatened by illegal fishing in the region and are in desperate need of protection. Malpelo’s abundance of sharks is particularly noteworthy given this apex predator’s rapidly declining numbers globally. With an estimated 100 million sharks being killed every year, many species are now threatened with extinction. Of these, the Scalloped Hammerhead shark (listed as endangered by the IUCN) and the Silky shark (listed as vulnerable by the IUCN) are amongst the most frequently fished, leading to a global population decline of between 60-99% (Shark Savers 2012). 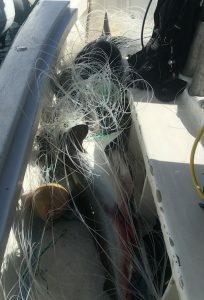 These sharp declines can be illustrated by the dwindling number of sites around the world where large schools of either Silky or Scalloped Hammerhead sharks can be observed on a regular basis. 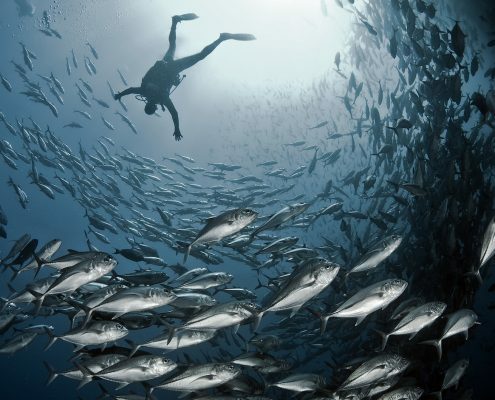 While such large aggregations were common in the 1990’s around places as diverse as Layang Layang (Malaysia), Northern Borneo, Madivaru (Maldives), Lombok/Komodo (Indonesia) and the Red Sea, interviews with local dive operators suggest that both the frequency of sightings and the size of schools have fallen sharply over the past two decades, with such large aggregations seldom seen today. 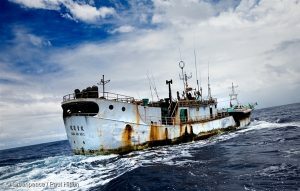 Although the ETPS is also witnessing declining populations due to both legal over-exploitation and illegal fishing, its remaining biomass of pelagic species is unparalleled anywhere on the planet. 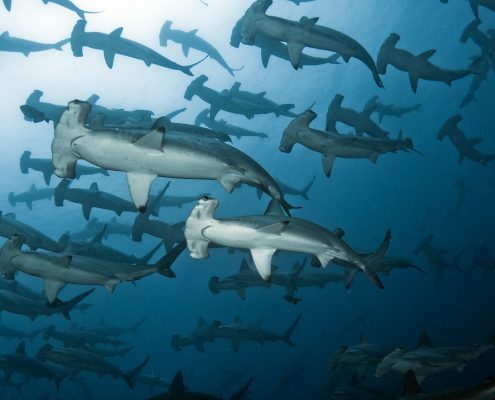 In fact the marine protected areas of Cocos, the Galapagos and Malpelo are amongst the last remaining places in the world where divers still regularly encounter large schools of open ocean sharks, such as the Scalloped Hammerhead and Silky Shark (Conservation International 2011, pp.4). It is therefore of critical importance that every effort is expended to preserve these marvels of marine biodiversity. Over a decade of scientific research involving the use of satellite tagging has established that the region’s sharks, rays and turtles migrate between the various marine protected areas (MPA’s) of the ETPS. Due to this high degree of connectivity, it is indispensable that the region’s three principal biodiversity hotspots of Cocos, Galapagos and Malpelo each be adequately protected, as continued poaching in one MPA would threaten the entire region’s biodiversity.